New Delhi The aviation regulator has decided to stipulate a flight duration, or the time required to fly between two points in the country, after reports that airlines were inflating the timings to improve on-time performance, according to a government and two airline officials. Even though airlines fly aircraft with nearly the same specifications and speed, many had inflated the duration of flights. For example, most airlines assigned a two-hour flight duration for Delhi-Ahmedabad flights, even though the journey takes just 1 hour and 30 minutes. Regulator Directorate General of Civil Aviation, or DGCA, has now stipulated time, known as block time in airline parlance, for all domestic sectors to curb the practice. The regulator hopes to improve on-time performance and allow more flight slots to be squeezed in, especially at congested airports such as Mumbai, by assigning a flight duration. The country’s winter schedule starts from end October. Airlines inflate the block hours to tide over a possible cascading delay in operations and give an impression to the passenger that he has reached ahead of time, said an airline official. “If you increase the block time it increases your leeway to cover your delay," the airline official said, requesting anonymity. Wind directions can, however, impact the flight timings. 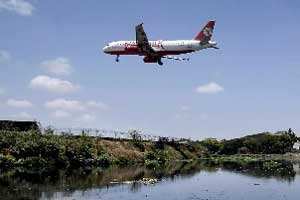 In fact, during winters, you have very strong westerly winds—jetstreams with wind speed of more than 180 km per hour, said Mohan Ranganathan, a Chennai-based air-safety expert and member of the government appointed Civil Aviation Advisory Council. “So, a Mumbai-Kolkata flight will take almost 30 minutes less time with a tailwind and the return flight will take that much longer." A tailwind flows in the direction of the flying aircraft and therefore aids the speed of the aircraft, while headwinds flow in the opposite direction, slowing the flight. “Normally, they take 10-15 minutes for taxiing out and 5 minutes for taxiing in, to add 20 minutes to actual flying time for arriving at block times. What airlines are doing, as it is rightly pointed out, is to increase the time and appear to have a wonderful on-time performance. The taxiing time, even in places like Mumbai will not exceed 5 minutes after landing, for domestic flights. It may take 10 for international." DGCA has told the airlines to ensure that their flight time is within 15 minutes of the block hour stated by the regulator. So, for a Delhi-Mumbai flight the block time has been capped at two hours. This means if the flight took 2 hours 15 minutes, it is on time but will be counted as delayed if it takes 2 hours 30 minutes. “They have now worked out the timings and you have to be within 15 minutes of the variation. You cannot have a block time of an hour extra for that route," said a second airline official, who too declined to be named. “The airlines will need to change the departure or the arrival time of their flights accordingly." DGCA has also kept in abeyance several flight clearances filed by the airlines during the winter months until flight timings follow the new rule, the government official said. “This will help in overall improvement of on-time performance and increase the number of slots available at the airports," he said.